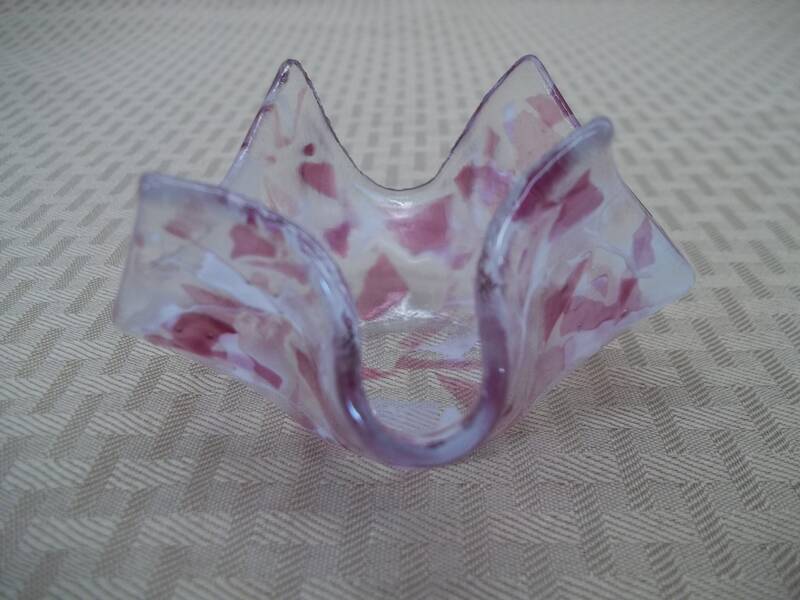 Fused in a kiln, this clear glass candleholder is accented with pink and white. 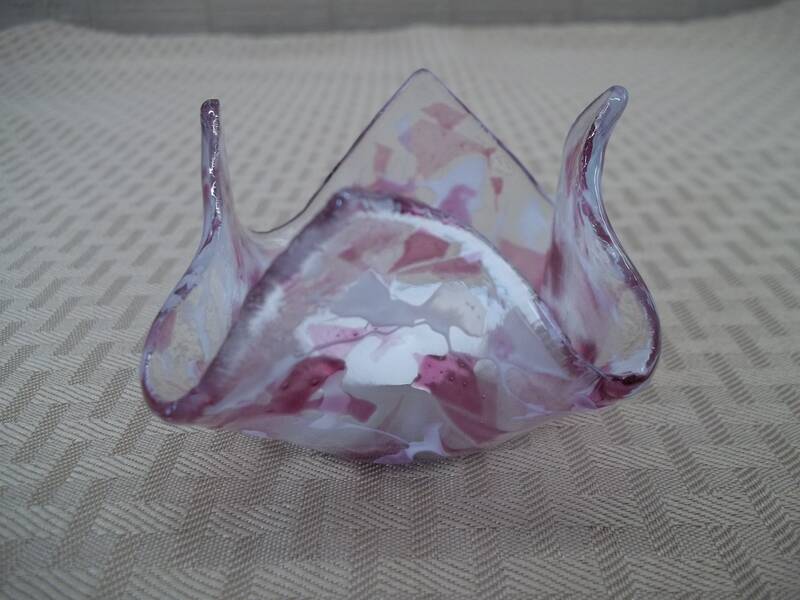 This handcrafted piece measures approximately 3 1/2" wide x 2 1/4" tall. 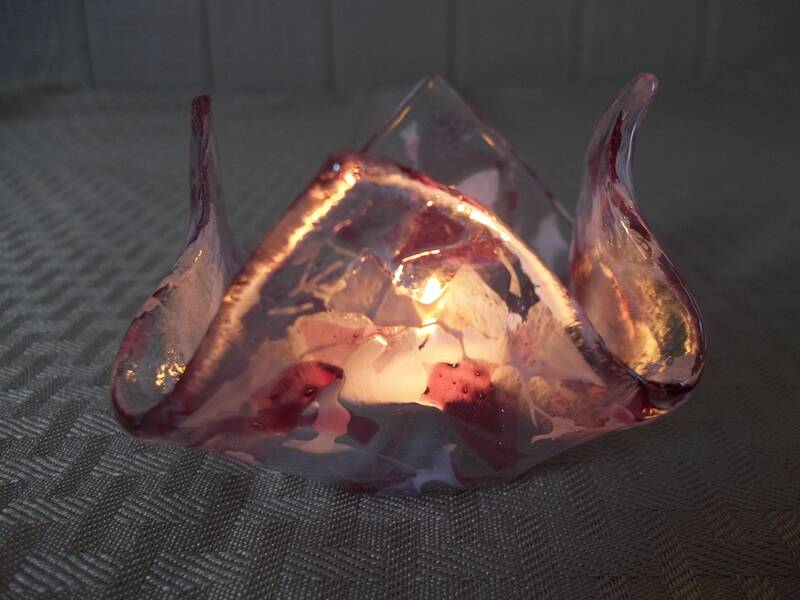 The candlelight shines through beautifully and it holds the small tea candles. One tea candle is included with purchase.